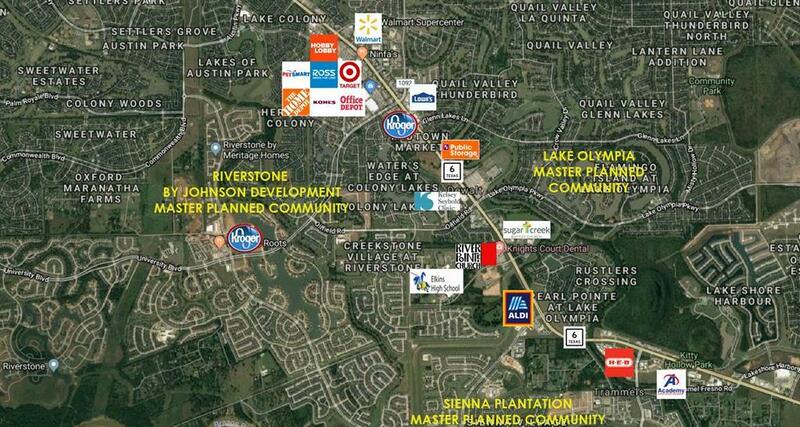 Approximately 8.2+ acres along Knights Court & Hwy 6 in Missouri City. Immediately behind strip center frontage on Highway 6. 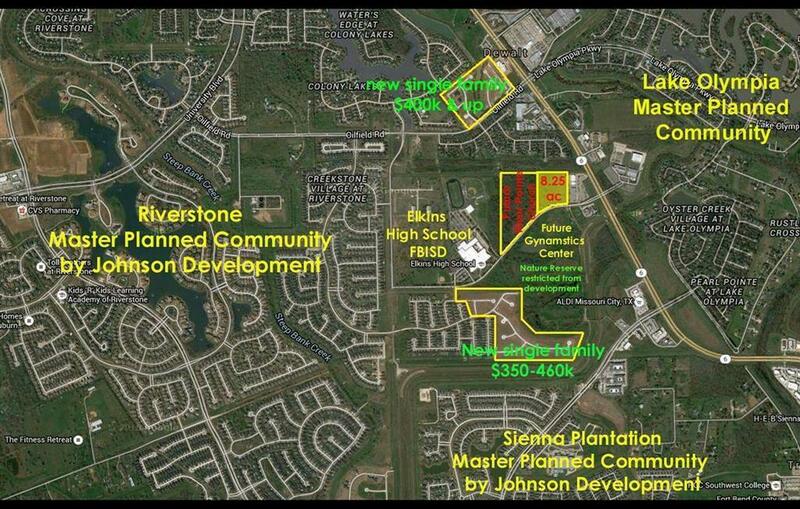 Riverstone master planned community fully developed around this site with surrounding master planned communities of Lake Olympia & Sienna Plantation. Traffic lighted intersection. Main road to Elkins High School. Great development or investment opportunity. All utilities already in place on site. NO RESTRICTIONS OR AG EXEMPTIONS declared on site. See city for commercial development approval of your plans. Excellent demographics. Ready to develop. Sellers will NOT divide site.